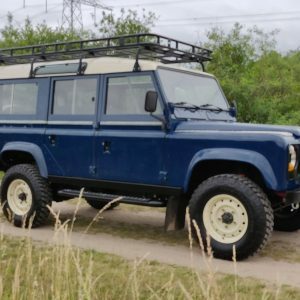 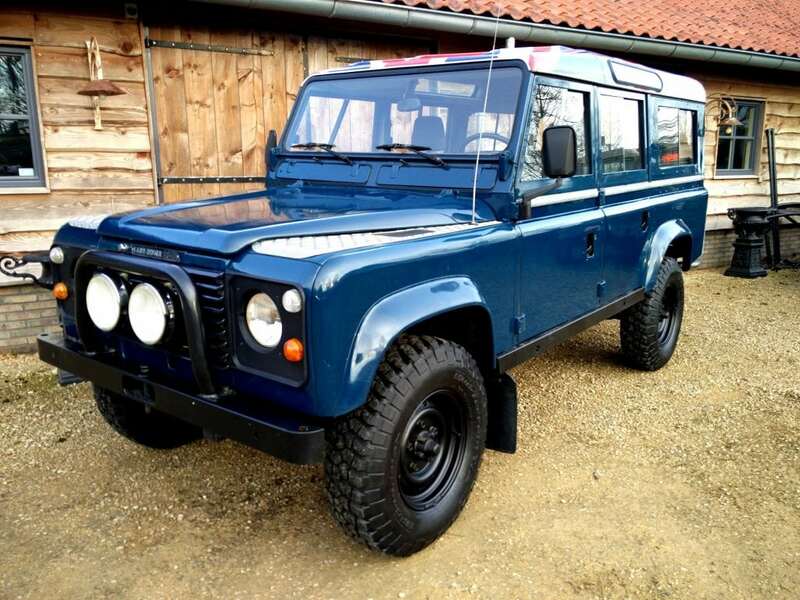 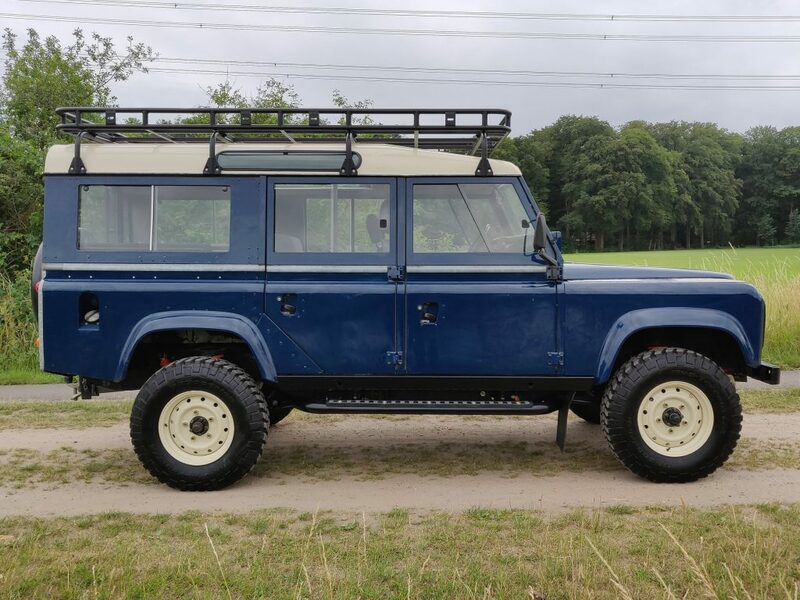 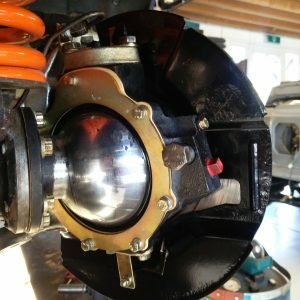 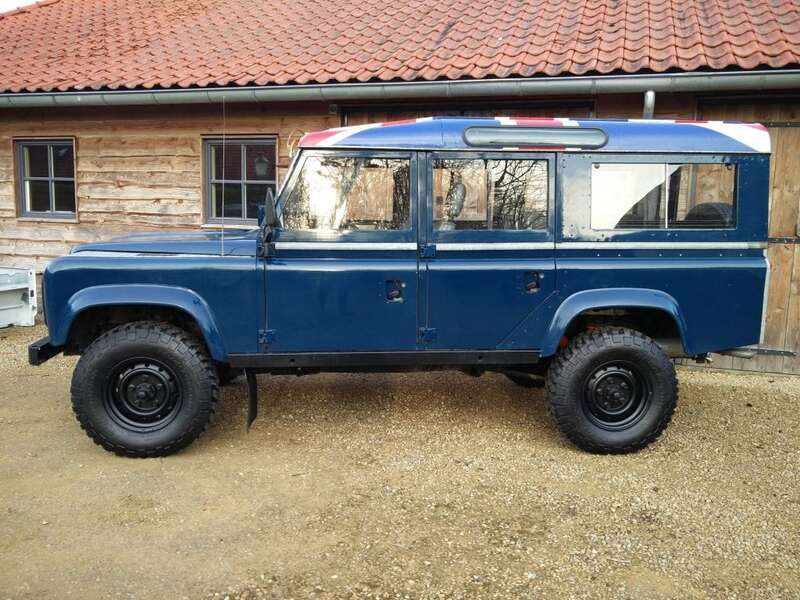 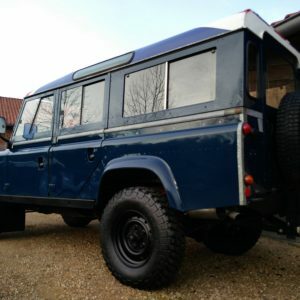 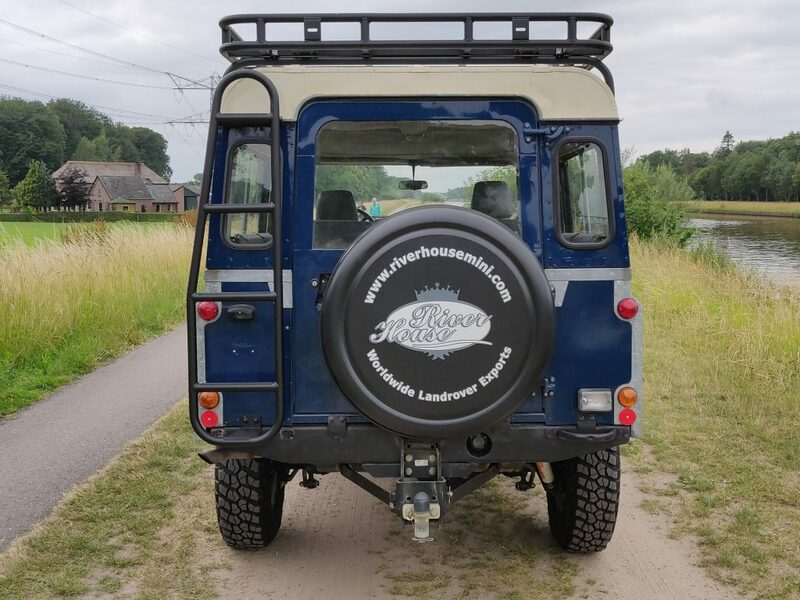 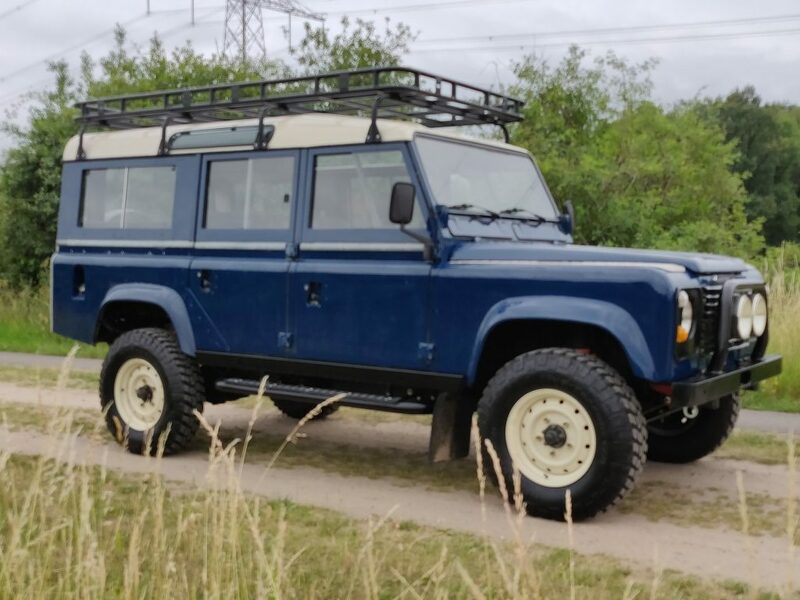 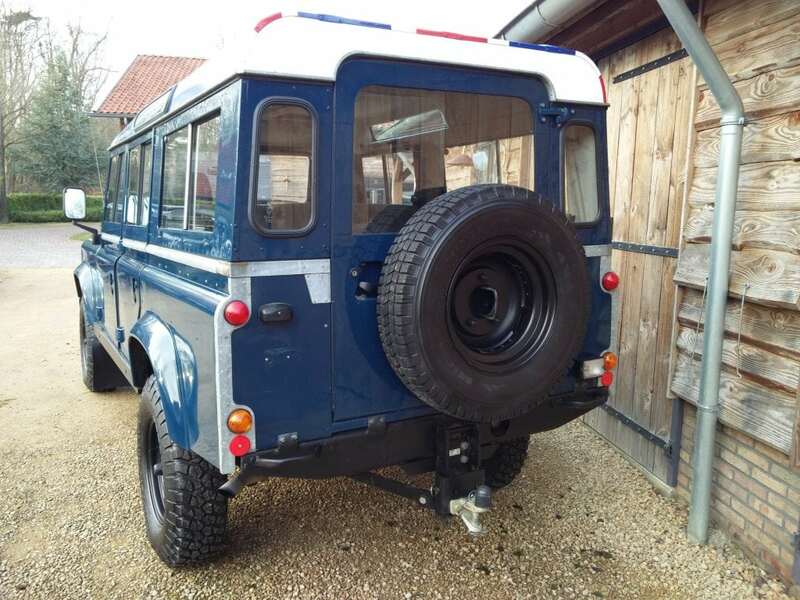 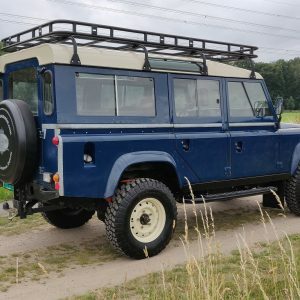 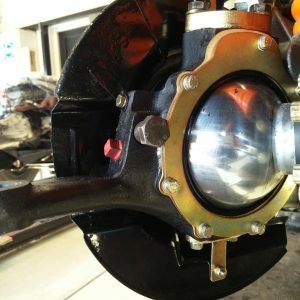 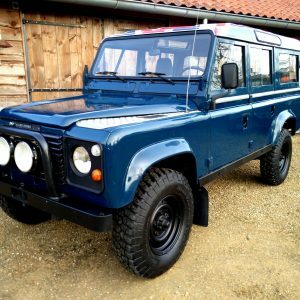 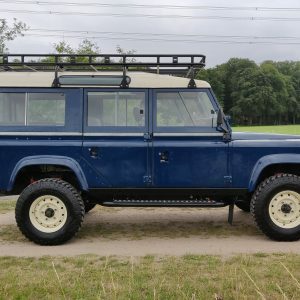 LHD Defender 110 stationwagon 2.25 Petrol ( currently 200 Tdi installed which we will remove before shipping) . 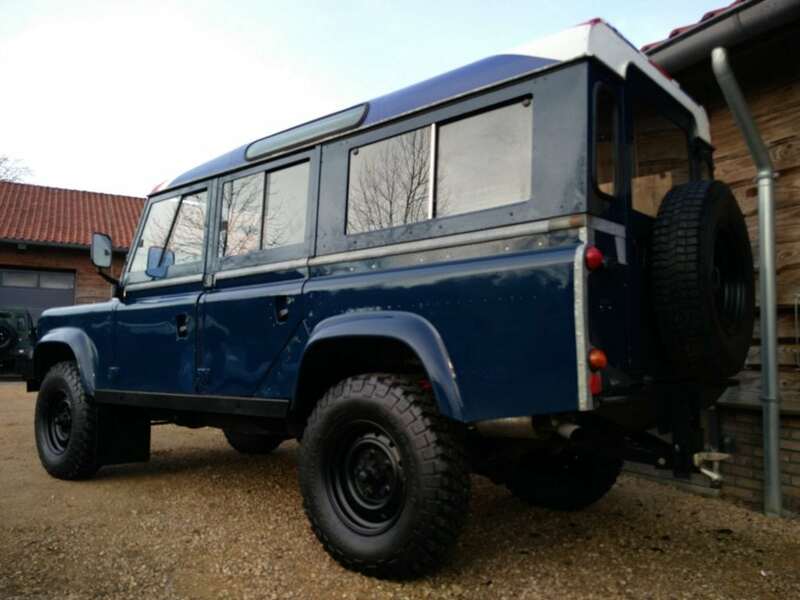 Truck is matching nrs, restored about 10 years ago and repainted in Caledonian Blue. 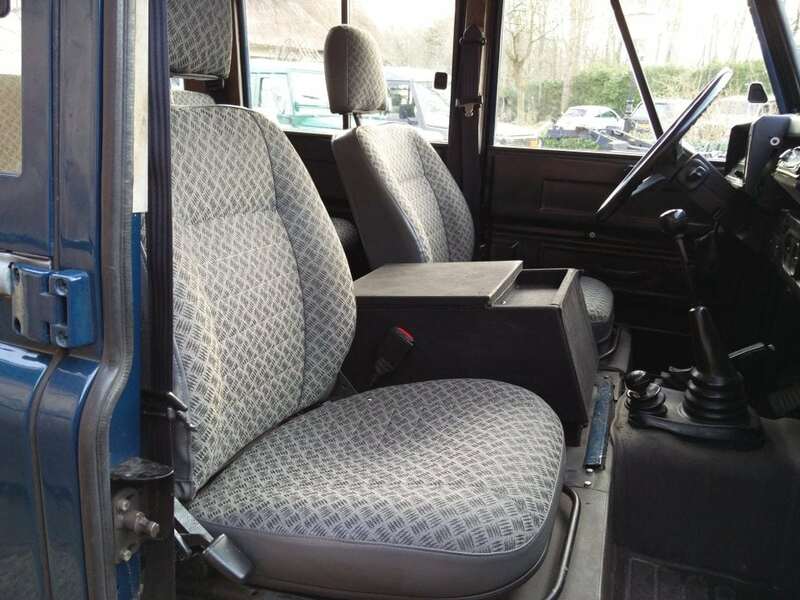 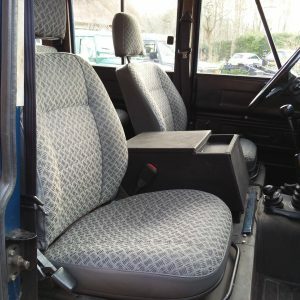 Very nice Techno cloth interior from a 2003 Defender. 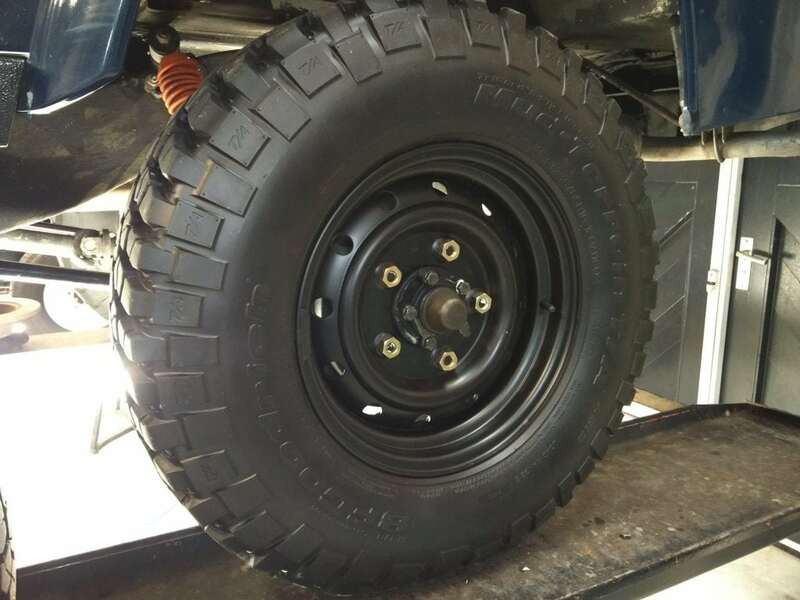 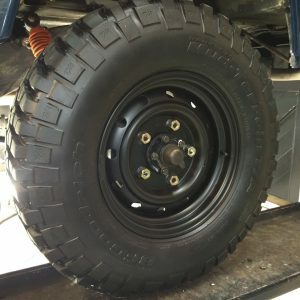 Wolf rims with almost new 255 85 16 tyres. 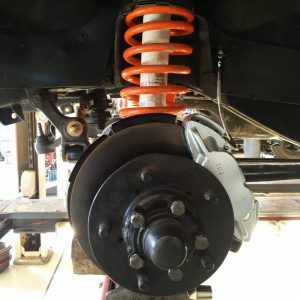 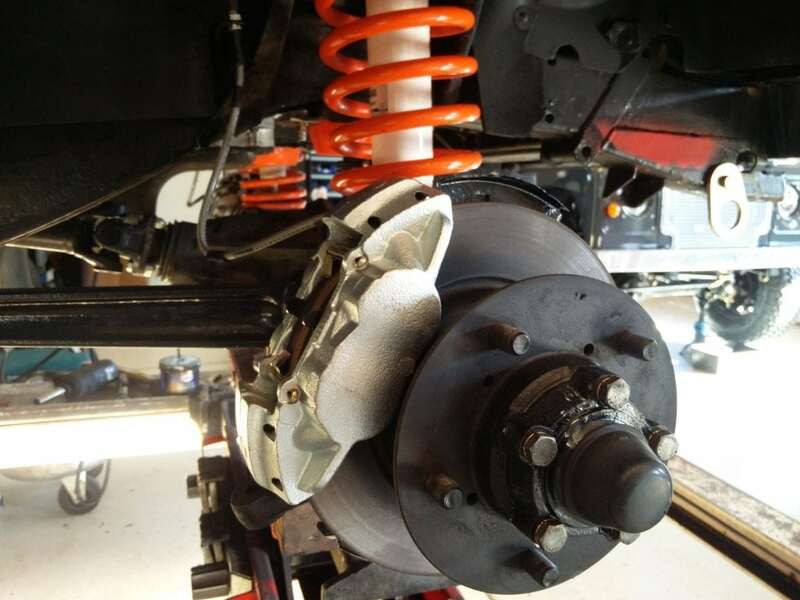 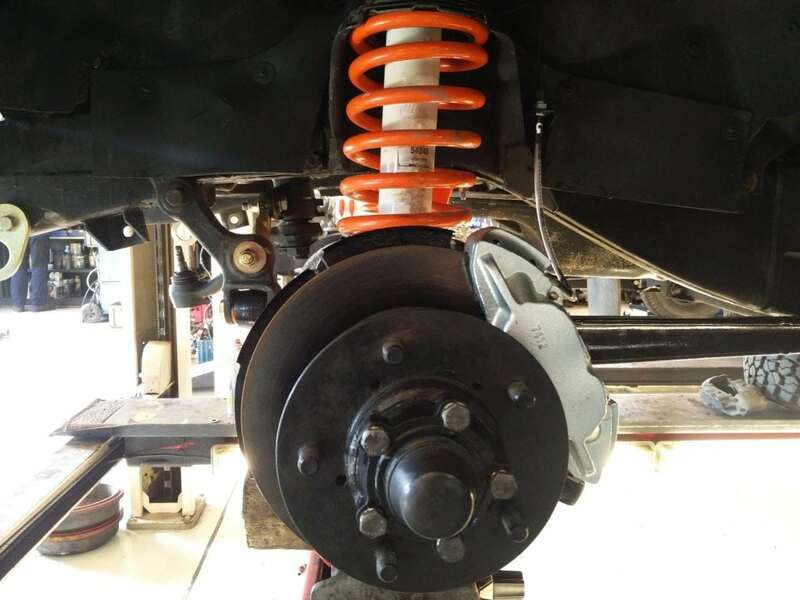 Slightly lifted suspension with new springs and shockabsorbers. 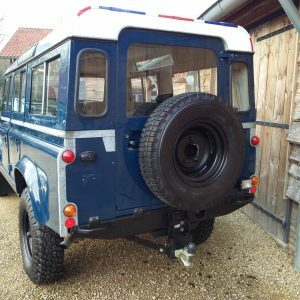 Military style front bumper with A bar and foglights, rocksliders installed. 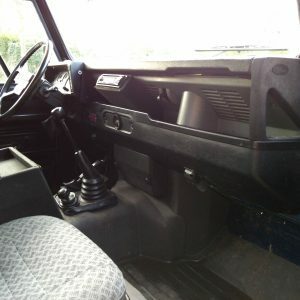 Exmoor moulded matting set installed. 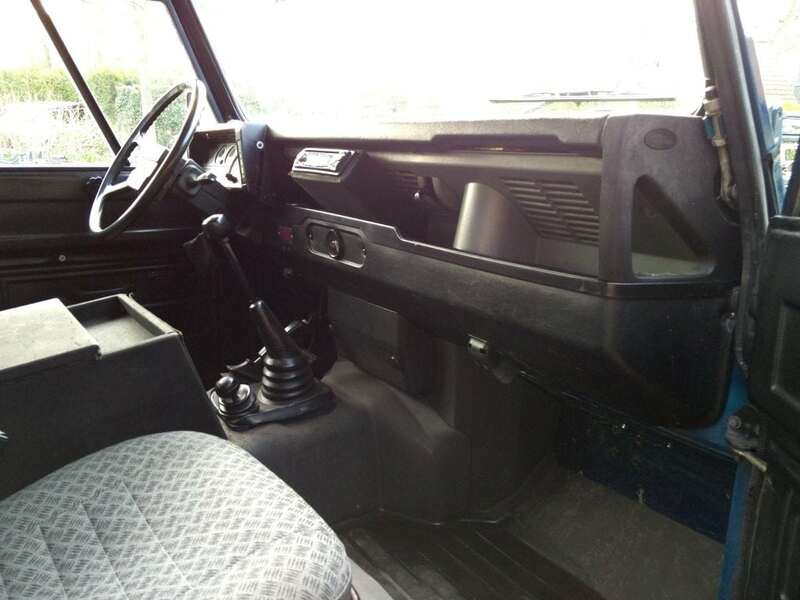 No rust on bulkhead top corners, all 5 doors in very good shape, no rusted out door bottoms. 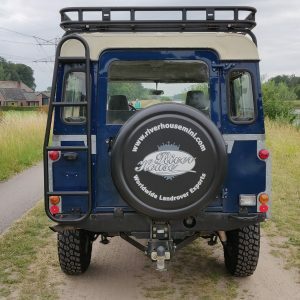 Footwells have zero rust. 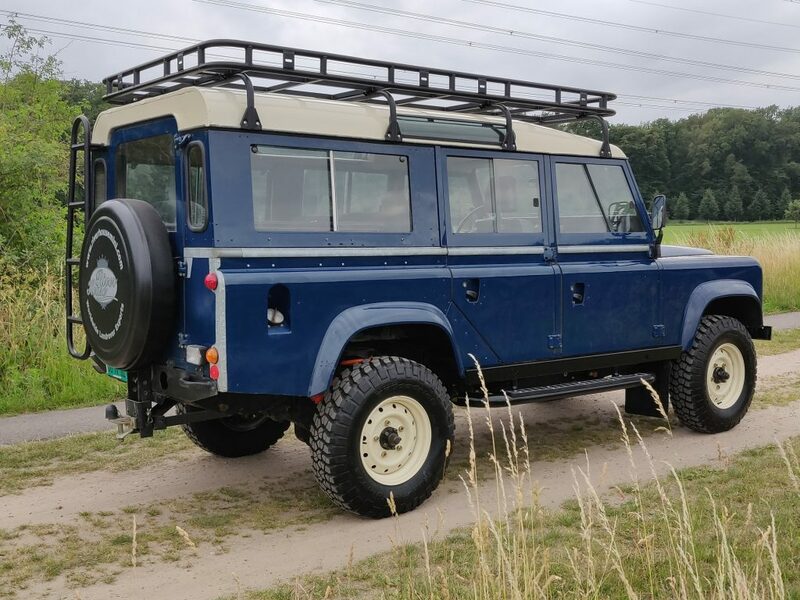 Solid frame which has been fully waxoyled. 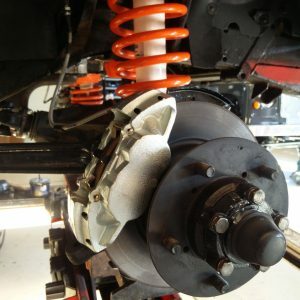 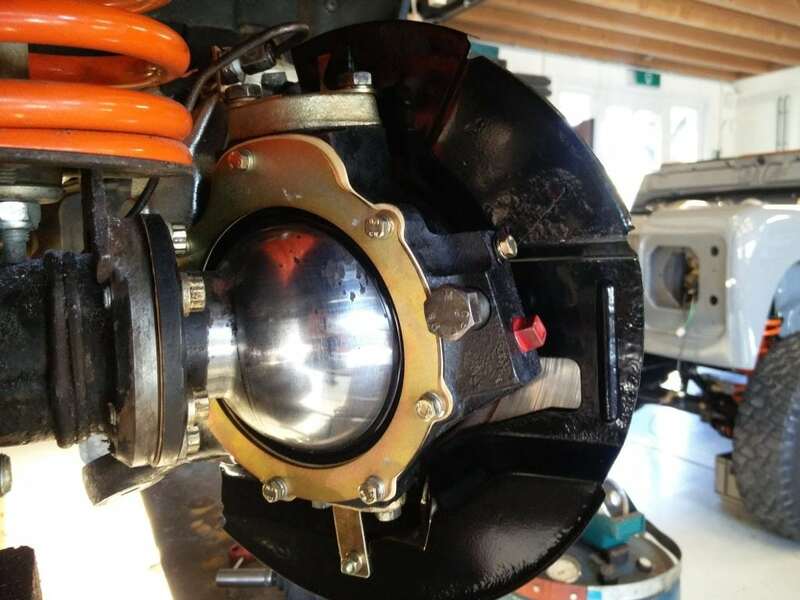 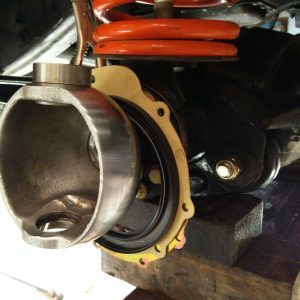 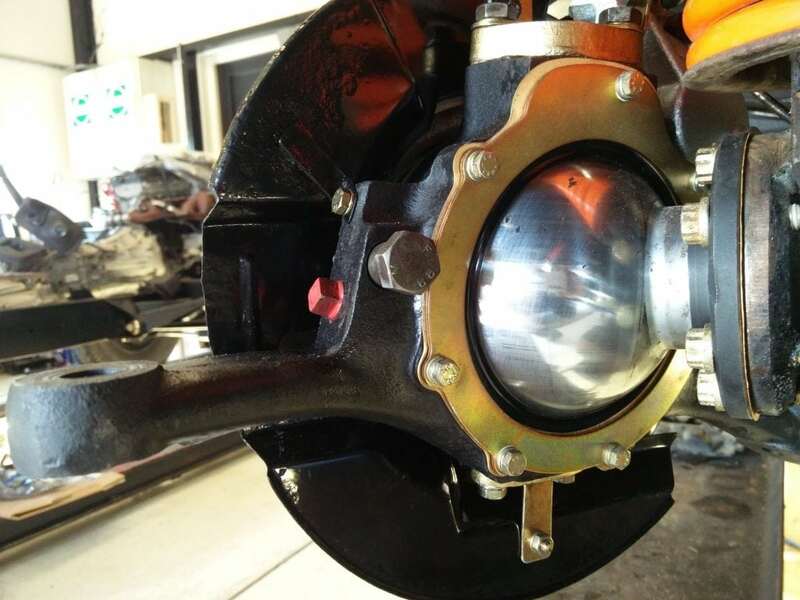 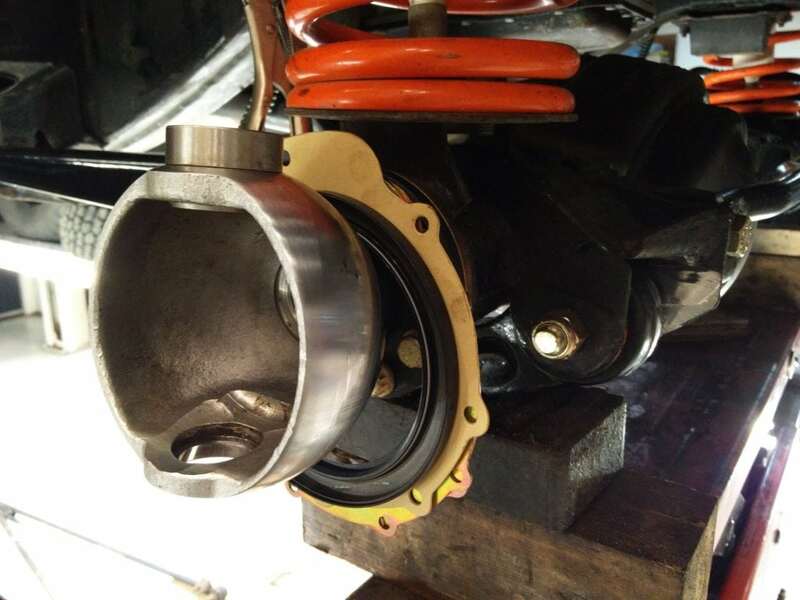 Front suspension and brakes overhauled. 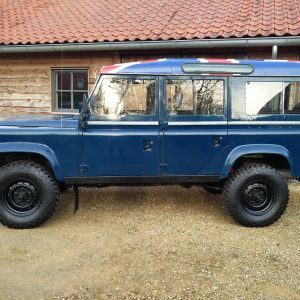 Union Jack painted on roof.